Making Dames Wines takes more than just great wine making, It all begins in the vineyard. Our Dames White was made with a beautiful BC blend of 80% Pinot Blanc from Sperling Vineyard in Kelowna, 10% Riesling from Sperling Vineyard in Kelowna grown by Viticulturist Ann Sperling. Sperling loves the opportunity to connect with women at all stages of development in the multifaceted industry. 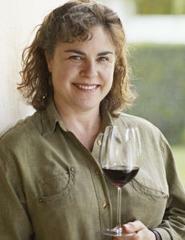 Sperling is a role model for women in wine as she provides an example where 30+ years can lead. Since 1984, Sperling has been making wine in Canadian vineyards in BC, ON, and some projects in Nova Scotia. She enjoys the exciting cultural of winemaking and not only spending time in the vineyards, but also with restaurateurs, tasting wines and communicating the great things about working with Canadian grapes. In the late 1990’s Sperling turned her attention to organics and biodynamics, so now works exclusively with vineyards pursuing this type of agriculture and winemaking. Making Dames Wines began in the vineyard, but if the winemaking process isn’t managed well, great wine will not reach it’s full potential. Fortunately for Dames Wine, enologist and lab manager consulted on the winemaking process. 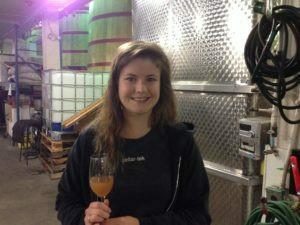 Here’s the scoop on Katie Bruce, our viniculturist. Bruce works at Summerhill Pyramid Winery and is keen to see more young women become interested in careers in the wine industry. 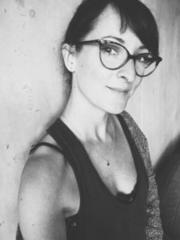 Currently the Enologist and Lab Manager at Summerhill, she is in charge of lab analysis and quality control. Jennifer Schell is Les Dames Wines media consultant and was pleased to assist Winemaker Mireille’s Sauve’s in her dream of paying forward her career support from Les Dames d’Escoffier and the wine’s goal to spotlight and celebrate women in the BC wine industry. Born and raised on an apple orchard in East Kelowna, Jennifer Schell is a passionate supporter of BC’s vibrant farming, food and wine industry and loves to provide a creative lens inside the province’s magical landscape and its people. 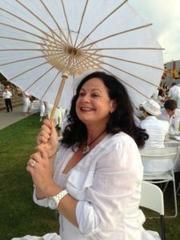 A widely read and followed food and wine writer, columnist and editor of Food & Wine Trails Magazine. She is the author of three cookbooks, the internationally award-winning cookbook series, The Butcher, The Baker, The Wine & Cheese Maker. Very active in charities and her community, she is a proud member of Les Dames d’Escoffier and the founding coordinator for the Okanagan Soup Sisters/Broth Brothers chapter. 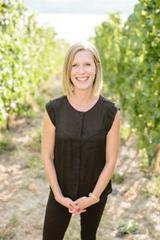 She is on the Program Advisory Committee for the Okanagan College’s culinary school and an instructor in the new Food, Wine & Tourism program the Continuing Studies offering a series of food, wine and farm workshops and intensives. As an extension of her networking skill and love of camaraderie, in 2009 Jennifer established WOW (Women on Wine), a wine paired lunch club. She is the co-founder of Okanagan’s signature Diner en Blanc event and is co-founder of the Garagiste North Wine Festivals, celebrating the under 2000 case producers in BC. Jennifer and her festival partner are now organizing smaller ‘Spotlight’ festivals featuring single varietal wines and food pairings. Through the festivals, they have created a Garagiste North Wine Studies Scholarship offered at Okanagan College. Find her at jenniferschell.com, winetrails.ca, and jenniferschell8 on twitter and instagram. They say you shouldn’t judge a book by its cover, but the truth is, most do. What’s in the bottle is of course of utmost importance, but what’s on that bottle can’t be overlooked. Thanks to Christine Moulson, Dames Wine Branding Consultant and Designer, our wine bottles look as good as our wine tastes. Moulson joined the project to assist women in the food & beverage industry by working create something wonderful that is representative of the industry and to give other women the opportunity to go forth and be successful. When she first tasted Mireille’s wine, her mind was immediately flooded with the colour that each wine evoked and thus the concept for the labels was born. It was a very organic process. Moulson has been involved in the F&B industry for many years. As a partner of Tealeaves (formerly know as T), she helped to establish the company as a leader in the luxury tea market. Evolving from a single Tearoom in Vancouver, Tealeaves is now the custom tea blender of choice for five-star properties and Michelin chefs worldwide. More recently, she has partnered in opening Strange Fellows Brewing – a craft brewery in Vancouver, where she is the brand and packaging designer. Her background in art and design has been put to good use in expressing visually the essence of food and beverage companies she works with. She loves a well-designed package that hints at a story and sets the tone for the enjoyment of what is within. 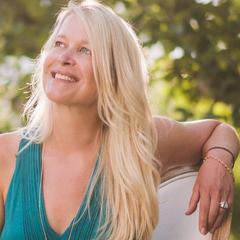 Leading up Sales for Dames Wine in the Okanagan is Kirsten Munro. Munro is proud to be part of this opportunity to empower women and credits the strong women surrounding her for her success. Since the age of 14 Munro has been in the hospitality industry and is know runs her own consulting company, Kirsten Munroe Consulting marketing wine, events and promotions. Cassandra Anderton is a member of Les Dames d’Escoffier and has spent many years in BC’s wine industry. She’s also a freelance travel, food, wine, and lifestyle writer and broadcaster and appears regularly on Global Television and has been published in BC Living,The Vancouver Courier, BC Wine Trails Magazine, The Yellow Pages Style Guides, Darpan Magazine, and runs Goodlifevancouver.com. Anderton consults on Marketing, Public and Media Relations and manages social media marketing for many companies in the food, drink and travel industries. Cassandra was born in New Zealand, grew up in the Okanagan and has made Vancouver her home for the past 30 years. She is passionate about local food and wine, and loves to travel and report on what others are doing to promote their local culture. Our wines are beautiful, but it takes a pro to capture beauty with a lens. Ronnie Lee Hill is our official photographer. She’s known for her work in weddings and events and has been working with our winemaker and project leader, Mireille Sauve for a number of years photographing her events and enjoying the education she’s passed on during this time. When Ronnie heard about Les Dames Wine, she said she naturally wanted to be involved in the best way she could, and provided us with photography services. Mireille Sauvé, director of the Wine Umbrella and member of the BC Chapter of Les Dames d’Escoffier, is blending her wine skills with her desire to support women in BC’s beverage and food industries. 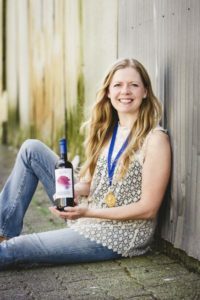 Thanks to a scholarship from the Dames organization, she became Canada’s youngest female sommelier in 1997, and together with a team of women she is paying it forward with the production of Dames Wine. Proceeds from the sale of the #dameswine — will support food and beverage education for women in BC.